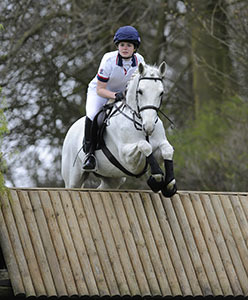 The 2010 Pony European Championships is being held at Bishop Burton College, near Beverley, East Yorkshire from 27th July to 1st August. 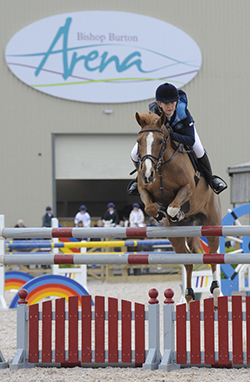 The SPSS is delighted to be celebrating our 10th anniversary by supporting the 2010 Pony European Championships as a Cross Country fence sponsor and by presenting trophies to the Highest Placed Individual Mare, Stallion and British-bred pony in each of the Individual European Championships. In addition, all Ponies with an SPSS connection will receive SPSS Merit Awards. There will be SPSS Display Boards in the Bishop Burton College Marquee and copies of our "10th Anniversary Souvenir Booklet and Stallion Guide" and other literature will be available to take away. In the build-up to the Championships and during the event, we are going to be keeping a blog of the latest news and results - see here. 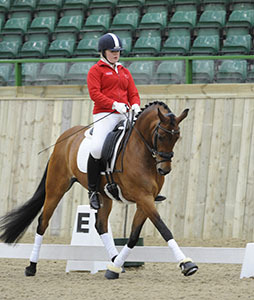 The event consists of the FEI European Pony Dressage, Eventing and Jumping Championships as well as a FEI Pony Show Jumping Event (CSIP), the FIHB European Horseball Pony Championships 2010 and over the weekend, a Town & Country Fair. SO there will always be events to watch as well as a variety of trade stands and other displays - including Falconry, Quad bike challenge, Mini Zoo, Dry stone walling, Chainsaw sculpture, Ferret racing, Dog agility, Craft fair, Children's activities (traditional crafts, face painting), Vintage machinery displays and there are real Meercats in the Mini Zoo!! All ticket prices are per day. Tickets available on the gate only. 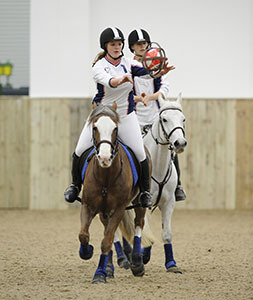 Pony riders try out the facilities at Bishop Burton College during the Pony Europeans Press Day.